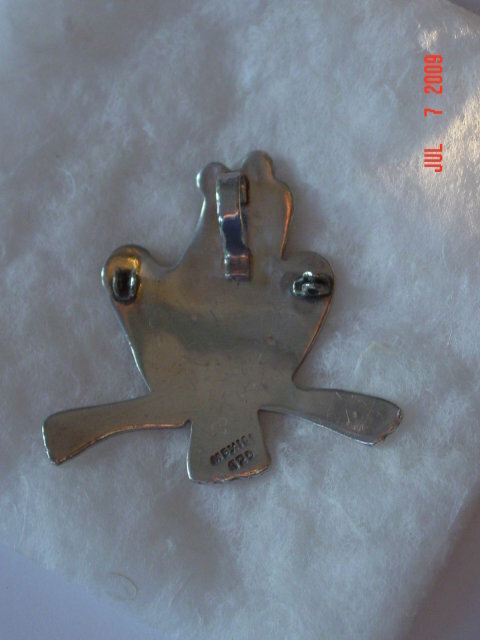 This sterling silver frog pendant was also once a pin but the arm is missing. It is a heavy piece and is signed MEXICO 925 on the back. Items Similar To "Sterling Silver Frog Pendant"